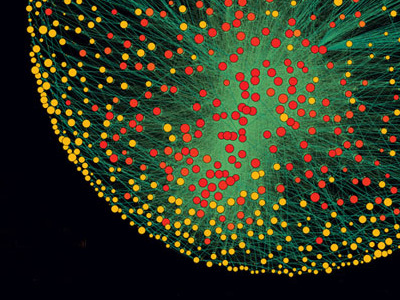 Researchers analyzed a database of 43,060 transnational corporations and the shared ownerships linking them. They developed a model of who owns what, and what their revenues are, and mapped the global structure of economic power. Their analysis indicates a distinct bow-tie shape, with a dominant core of 147 firms radiating from the middle. 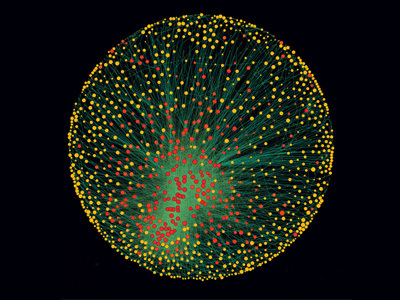 Each of the 147 firms owns interlocking stakes of one another, together controlling 40% of the wealth on the network.